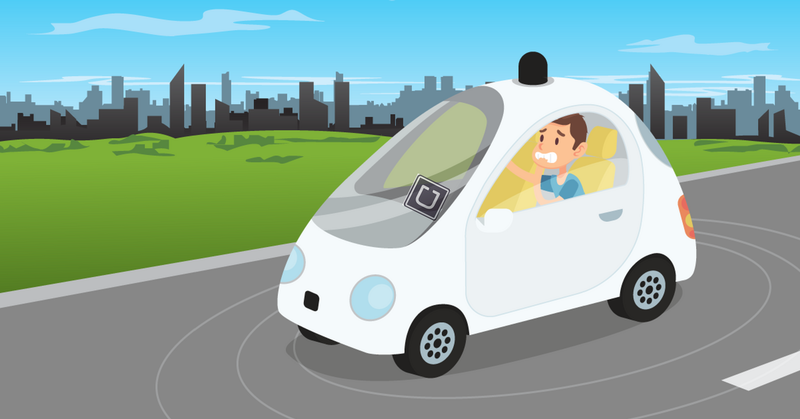 Home / Legal Guides / Are Uber Self-Driving Cars Safer For Passengers? You wake up in the morning, get out of bed, pull your clothes on, and walk out the door. But instead of getting in your car and driving to work (or wherever you spend your day), you take out your phone and order a ride. Less than a minute later, a car pulls up at your corner. The door opens and you get in. Sound familiar, right? If you’ve ever gotten a ride from UBER or Lyft, it probably does. Except this time, there’s a difference. Because the car is completely empty. Instead of telling the driver where to go, you plug the coordinates for your destination into the car’s automated system. Then, you sit back with your feet up, maybe a good book and a cup of coffee, and enjoy the ride. You might as well be a passenger in a bus… except that it’s your own personalized bus, with a lot of legroom and no other passengers, which can go wherever you want, for a nominal fee. This scenario might sound far-fetched, and it is… for now. But in the future, and perhaps nearer than many of us might think, such a mode of transportation might be a feature of your day-to-day life. Autonomous cars are not new. Development of the very first prototypes began only a few decades after the car was invented, and truly autonomous cars have been around since the 1980s. But it is only over the last few years that autonomous car technology has become cheap enough to start appearing on ordinary streets. 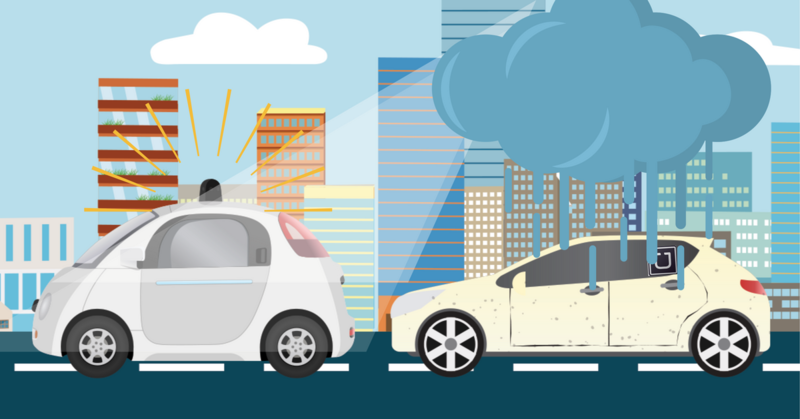 Although cars which are 100% autonomous are still in development, it is extremely likely that vehicles with more and more self-driving features will become increasingly frequent on our roads in coming years. And these vehicles have the power to change much of the world of driving as we know it. Enter the rideshare industry. For over a century, since the invention of the car (and even before then, with horses and buggies) ridesharing as a profession was the sole province of taxi drivers. Of course, hitchhiking and carpooling was also common, but in the era before cell phones, these arrangements were difficult to make, and often fairly seedy if you did not know the people involved. In the old days, taxi companies were strictly licensed and regulated by local governments, and operated as quasi-monopolies with high levels of control over transportation within a city. But all that changed around 2010. In that year, UBER was founded in San Francisco. The idea of booking a ride via a smartphone app caught on like wildfire, and over the next few years UBER expanded across the United States and through multiple other countries. A number of competitors sprang up, chief among them Lyft, which was also founded in San Francisco, two years after UBER. UBER and Lyft have revolutionized the rideshare industry. They have allowed millions of people worldwide to book rides much more easily than before, often for cheaper prices and with better service than they would have received otherwise. 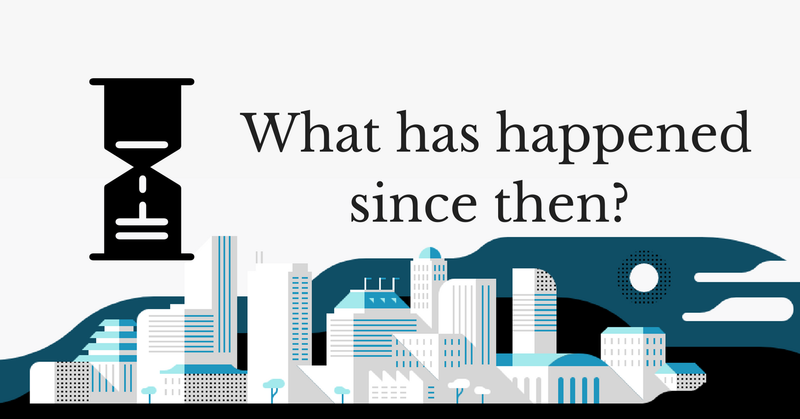 Not only that, but many economists argue that rideshare apps represent a fundamental shift in our society from a career-based to a more flexible, gig-based economy. However, these companies face controversy on multiple levels. 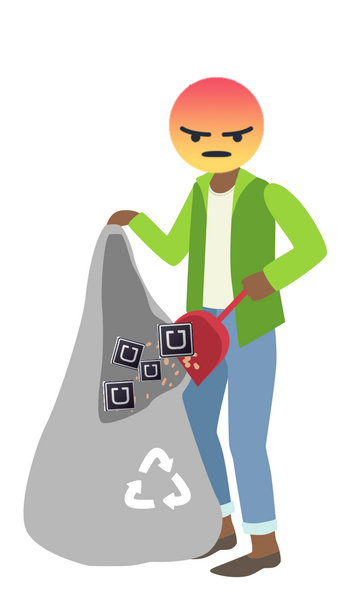 Some of it comes from the taxicab industry, which dislikes the competition, while other critics of UBER and Lyft raise concerns about problems involving insurance, safety, the background checking of UBER and Lyft drivers, and the two companies’ aggressive competitive tactics. The critics of UBER and Lyft may soon get their wish. Only a few years after rideshare apps burst onto the scene, revolutionizing the industry and threatening the careers of thousands of taxi drivers, they themselves are threatened by a new development: the rise of self-driving cars. After all, if you can get in a car and program it to go anywhere you want, then what is the point of a ridesharing service? Why not just save a step and order a self-driving car? Of course, there will be jobs in making these autonomous cars, in rolling them out to the general public, and in overseeing them and dealing with any complications that arise. But the services of a great many rideshare drivers will no longer be needed, and this will represent a shift in the industry even bigger than the invention of the rideshare app itself. While still a long way off, this scenario is enough of a likelihood to cause genuine fear for many of those who have come to rely on UBER for their primary or supplementary sources of income. 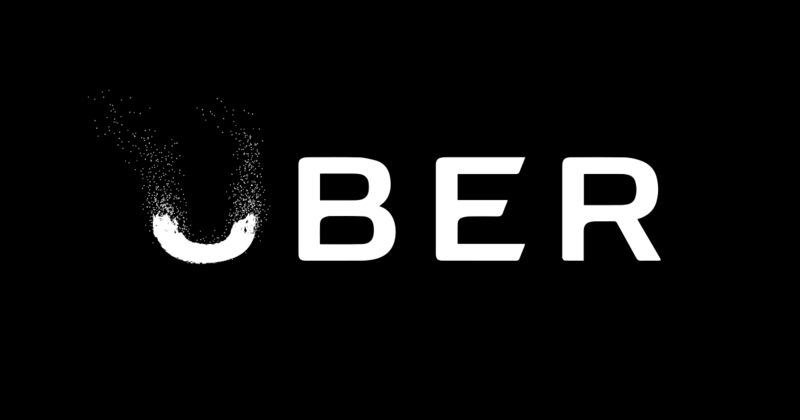 Will UBER Drivers Be Eliminated? It is likely that UBER drivers will not be eliminated entirely, but the nature of their job will certainly change. Rather than allowing itself to be eclipsed by the burgeoning autonomous car industry, UBER is rolling with the times. They have already begun to research self-driving cars, and last year they even released their own fleet of partially autonomous cars in Pittsburgh. These cars are not truly self-driving. Some of their functions are autonomous, but they still require a human “safety driver” at the controls, to take over in case anything goes wrong. And because self-driving cars are still prohibitively expensive, there are only a few of these vehicles on the road so far. Although there have already been some complications, UBER’s autonomous car project is moving forward largely as planned. Nor is UBER the only company getting in on this new wave of technology. Only recently, in July of 2017, Lyft announced its own plans to begin researching self-driving cars. And even if these two rideshare companies fail to create self-driving technology, a number of other companies, including Tesla and Google’s Waymo, are fighting to get control of the industry. To be sure, rideshare companies have a vested interest in promoting self-driving technology. Although it may cost them hundreds of millions of dollars now, in the long run it might actually save them money, because they will avoid having to pay human drivers. Self-driving cars might be new, but the fear of technological unemployment is not. In fact, such fears have been commonplace ever since the beginning of the Industrial Revolution two centuries ago, when the first complex machines began to replace human labor. Around 1800, when the first high-tech industrial looms were implemented, an entire industry of hand weavers in England were put out of business. These weavers, deprived of their ability to provide for themselves and their families, formed a violent anti-industrialist movement known as the Luddites. For years, Luddites broke into the new factories and smashed industrial machinery. But today, most economists recognize that the Luddites failed to see the big picture. Although the invention of industrial weaving technology created short-term unemployment, it failed to create long-term unemployment. In fact, this new technology made the economy better in the long run, because people could afford cheaper clothes than they had before, and this freed them up to spend more money in other industries. Today, almost almost all of the jobs that existed at the time of the Luddites have been automated to some degree, and yet our economy is significantly better off than it was in 1800. As jobs in agriculture and blacksmithing have vanished, entirely new industries, such as driving itself, have sprung up. This is why many economists speak about the “Luddite fallacy,” which involves confusing a temporary fluctuation in the labor market with a long-term shift. So, you might expect that technological employment from self-driving cars will follow the same pattern that it did with the Luddites 200 years ago. And most economists would agree with you. But the issue is still hotly debated, with some experts arguing that the introduction of artificial intelligence is fundamentally different from the introduction of new technologies that merely save on physical labor. It’s a complex debate and there may be no easy answers. Perhaps it is true that self-driving cars will serve the same function within the rideshare industry as ATMs did within the banking industry, or industrial looms did within the textile industry. Or perhaps not. But one thing is sure: the nature of jobs with companies like UBER and Lyft will change dramatically over the next couple of decades. It’s hard to say for sure. The rise of any new technology is only predictable in broad strokes. After all, if we had perfect knowledge about what new technological breakthroughs are going to be on the market in the future, then we could save time by implementing them immediately! UBER and Lyft drivers, however, can sleep a little more comfortably, at least in the short term, because it is almost certain that fully autonomous cars will not be on the road for at least a few years, and perhaps longer. Although Elon Musk has promised that a Tesla will drive across the United States completely on its own by the end of 2017, even the most optimistic predictions by industry heads peg the advent of truly self-driving cars on American roads closer to the early 2020s. Other experts are more cautious, and predict that self-driving cars will not become commonplace for 15 or 20 years, if not more. Administration has developed a six-point scale for measuring the level of automation in a car, running from 0 to 5. In a car at Level 0, which includes almost all “normal” cars currently on the road, there is no automation, and the driver must be in control of every aspect of the driving. Cars at Levels 1 and 2 have some automatic features, but the driver must still maintain control over the vehicle and remain alert and attentive. Vehicles such as the Tesla, with its “autopilot” feature, fall into this category. At the higher levels, things start to get more interesting. A Level 4 vehicle would be almost completely autonomous, but might still need a human driver to take control in an emergency. This is a true “self-driving car,” and it is what companies like UBER and Google are still aiming to develop. A Level 5 car would go even further, and be completely autonomous in all circumstances. There would be no need for a human driver, and features like a steering wheel and accelerator would be completely unnecessary. Even by the most optimistic predictions, however, Level 5 cars are still a ways off, probably a decade or more. What does all this mean for rideshare drivers? It means that, for the moment at least, your jobs will not vanish entirely. Even in a Level 4 car, there will still be some need for human oversight, and this will mean that human drivers will have a role to play for years to come. But if you do drive for UBER or Lyft, you should start thinking long-term. 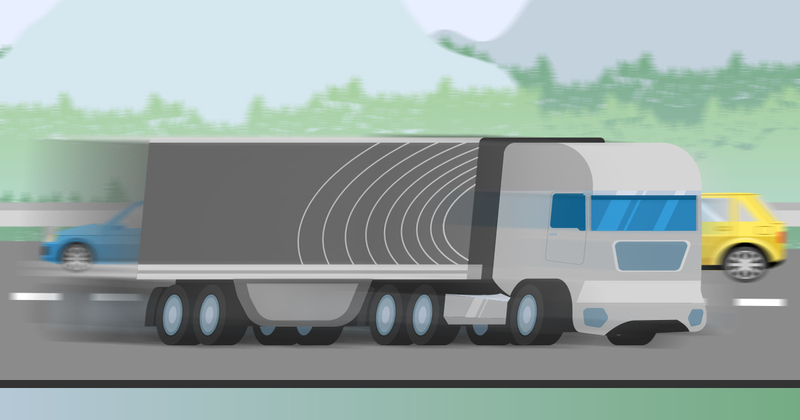 Are Autonomous Cars and Trucks Safer for Passengers? For Other Drivers? Of course, self-driving cars are still in the experimental stages, and there are a lot of safety hurdles that must be overcome. But if they are designed properly, self-driving cars have the potential to be much safer than ordinary vehicles. Before worrying about how fallible a robot may be, let’s stop and take a minute to recognize how fallible humans already are. The vast majority of car accidents which currently occur on our roads are caused by human error, and many of these errors are completely avoidable. Take drunk driving, for instance. Although the rates of drunk driving have gone down in recent years, partly as a result of increased punishments and widespread educational campaigns designed to curb the practice, far too many Americans still drive drunk. Approximately a third of all traffic fatalities involve a drunk driver. That’s thousands of completely unnecessary deaths on American roads, every single year. Rideshare services such as UBER and Lyft have already helped somewhat, by providing people with cheap and easily accessible rides home from bars and nightclubs. But self-driving cars have the potential to eliminate the problem of drunk driving entirely. Machines, after all, never get drunk. Autonomous driving technology may also eliminate many other easily avoidable problems associated with human drivers, including DUI with marijuana and other substances which cause impairment, distracted driving (especially texting while driving), drowsy driving, road rage, and so on. All of these practices cause similarly large numbers of accidents, and all of them could be eliminated entirely if autonomous cars took over the market. Tens of thousands of people are killed in these types of accidents every year, and hundreds of thousands more are injured, often in serious and horrific ways. If autonomous cars can eliminate this plague on our society, then they will have done immeasurable good for the quality of human life. But will they? So far, real-life experience with self-driving cars has been encouraging. Already, there are a lot of autonomous cars out on our roads, and relatively few accidents have been reported. Most of the accidents which have occurred were quite minor, and in many cases they were not even the fault of the self-driving technology. There has been one death in a self-driving car: that of Joshua Brown last year, whose Tesla collided with a truck in Florida while on autopilot. However, later investigations revealed that the crash was not the fault of the car’s autonomous technology, and that Brown had ignored repeated warnings from the car to keep his hands on the wheel. That said, self-driving cars do come with their own set of problems. For one, it will be a while before these cars are fully developed, and in the meantime, there are bound to be some mistakes. For another, imitating a human driver is more than a mere matter of making spatial judgments. Self-driving cars, like human drivers, will inevitably have to make moral decisions. Let’s say that a self-driving car finds itself in a situation where it must choose between crashing and killing its human driver, or running down a pedestrian. What should it do? Or what if it must choose between two pedestrians? Ethical philosophers have debated these sorts of questions for years, with thought experiments such as the “trolley problem” (the simplest variation of which involves the question of whether, if an out-of-control trolley is hurtling towards five people, it is moral to switch the trolley out of their way, but into the path of another innocent person). Who knows? Perhaps one day, we will outsource all of our moral thinking to machines. But that is a long way off, and in the meantime, autonomous cars will lead to major changes in our own field: that of personal injury law. Today, most accidents are the fault of drivers, which means that car accident lawsuits are filed against auto insurance companies. Accidents involving Uber and other rideshare companies can be tricky. That is why we created the Ultimate Uber Accident Guide for Drivers and Passengers to help understand the process from protecting yourself to getting compensation after an accident. As self-driving cars become more common, and the accidents are more often traceable back to faulty technology rather than driver error, the traffic accidents which do occur will be less often a matter of driver negligence and more often a matter of products liability. This will completely change the way in which car accident cases are prosecuted, and, as with the driving industry itself, render obsolete or else radically alter entire career fields under the umbrella of auto insurance and accident law. How will this affect Torklaw in the years to come? It’s too early for us to say for sure. If UBER and Lyft drivers have reason to worry about their job security over the next few decades, they can at least rest assured that they are not alone. Professional drivers make up around three percent of the American workforce, with truck drivers comprising most of these jobs, and bus and cab drivers making up many of the rest. Autonomous car technology will hit all of these jobs at around the same time, and rideshare drivers will fund themselves in good company. Taxi drivers, for their part, who may be legitimately angry at rideshare apps for taking a large share of their business, can at least forgive them somewhat, knowing that even if UBER and Lyft had not come along, it would only have been a few years before self-driving technology started to threaten their careers anyway. Furthermore, as autonomous vehicle technology improves in the more distant future, other sectors of the economy, currently thought to be more secure, may also be eliminated. Airplanes, trains, and ships may one day be fully automated, eliminating thousands or millions more jobs. One day, perhaps sooner than we think, all manual labor may be replaced by machines entirely. And even many jobs involving human capital, such as nurse or paralegal, may be supplanted by artificial intelligence. These shifts will have radical effects on almost every sector of the economy, and will doubtless cause social upheavals on the scale of those caused by the Industrial Revolution two hundred years ago. Millions of people all over the world will be forced to reevaluate their role in society, and their place in the workforce. Perhaps only time will tell what the full effects of increased automation will be. But until this happens, rideshare drivers will find themselves only as susceptible to its effects as any other sector of the economy.